This deer season, skip the trip to the butcher shop and turn your shop or garage into a deer-processing headquarters for you and your hunting pals! Our powerful, easy-to-use Band Saw lets you create exactly the cuts you want, at the exact thickness you want, monitoring every step along the way for complete control. Easily cut steaks, chops and cubes, cutting through bone and frozen meat like butter. 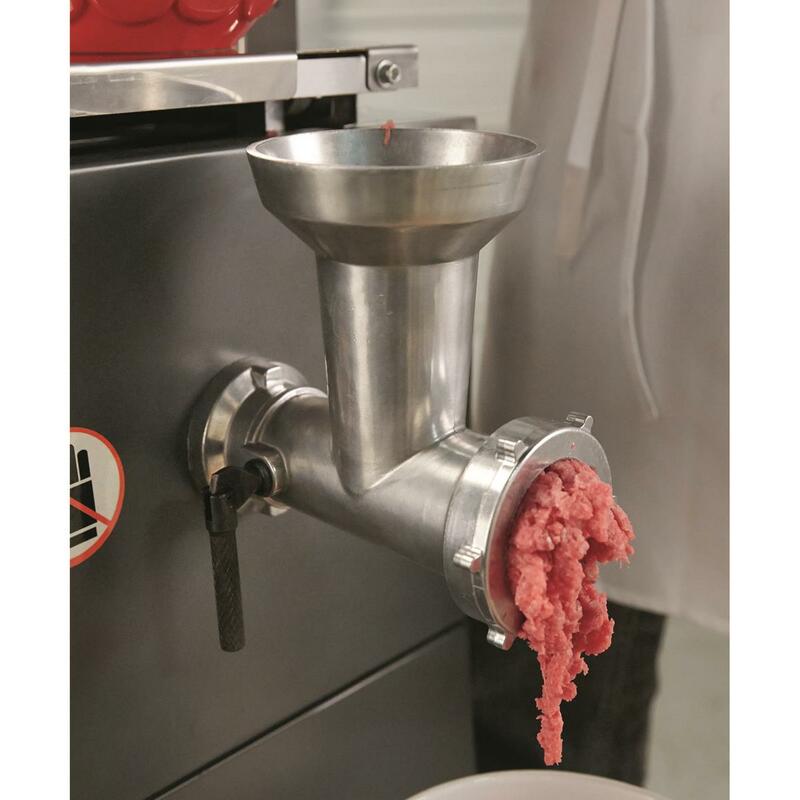 Take it a step further and use the integrated grinder attachment to transform raw cuts into into fine ground meat for delicious DIY burgers and sausage. Smartly designed. Safe and easy to use. Anytime you're working with a power saw, safety is a prime concern. 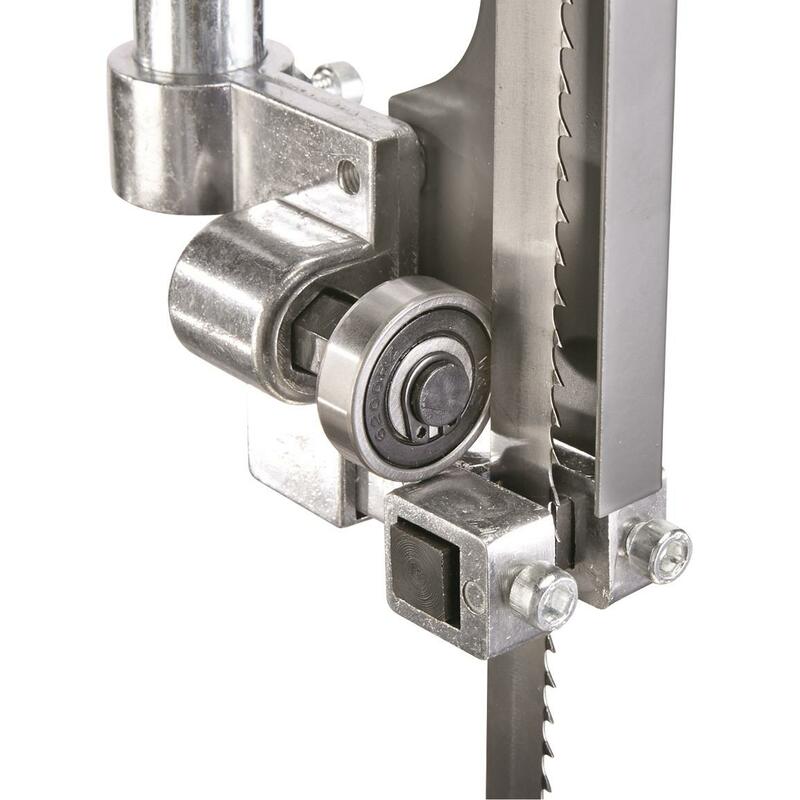 We designed our Guide Gear Meat Processing Band Saw with safety and simplicity in mind. 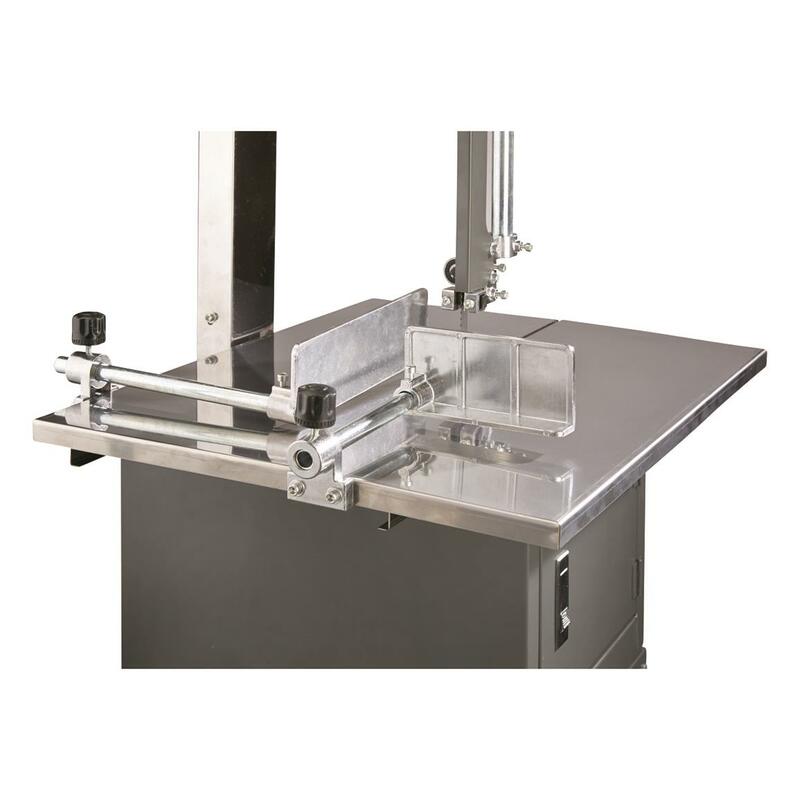 The 23.5" x 18.5" stainless steel cutting table includes two adjustable fences to secure the portion of meat to be cut. And, the table slides back and forth with up to 10" of travel. 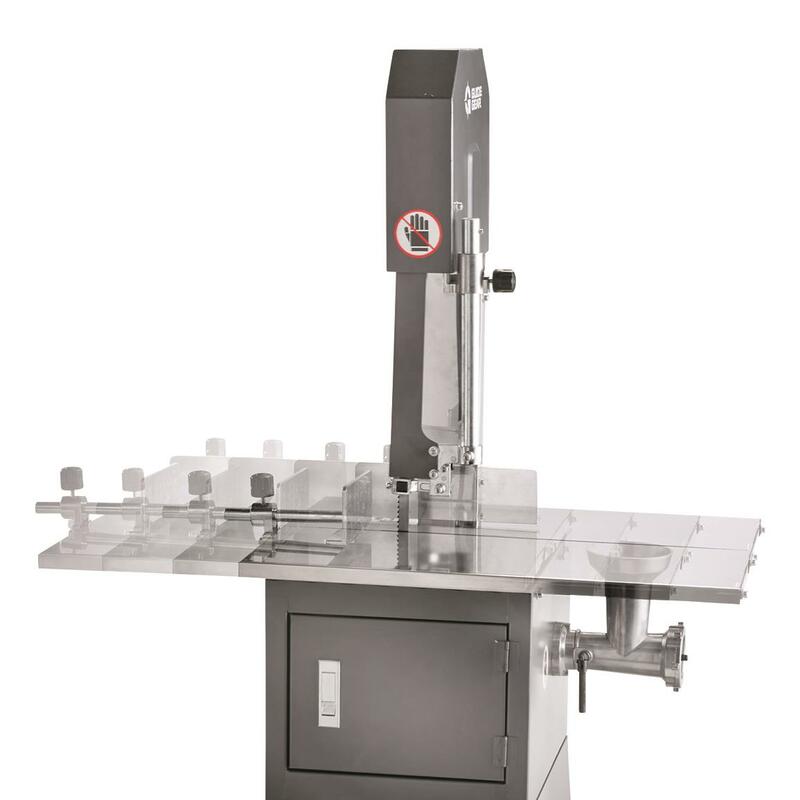 That means you don't just push the meat though the blade, you push the entire table, ensuring better stability, a cleaner cut and safer operation while keeping your hands away from the blade. 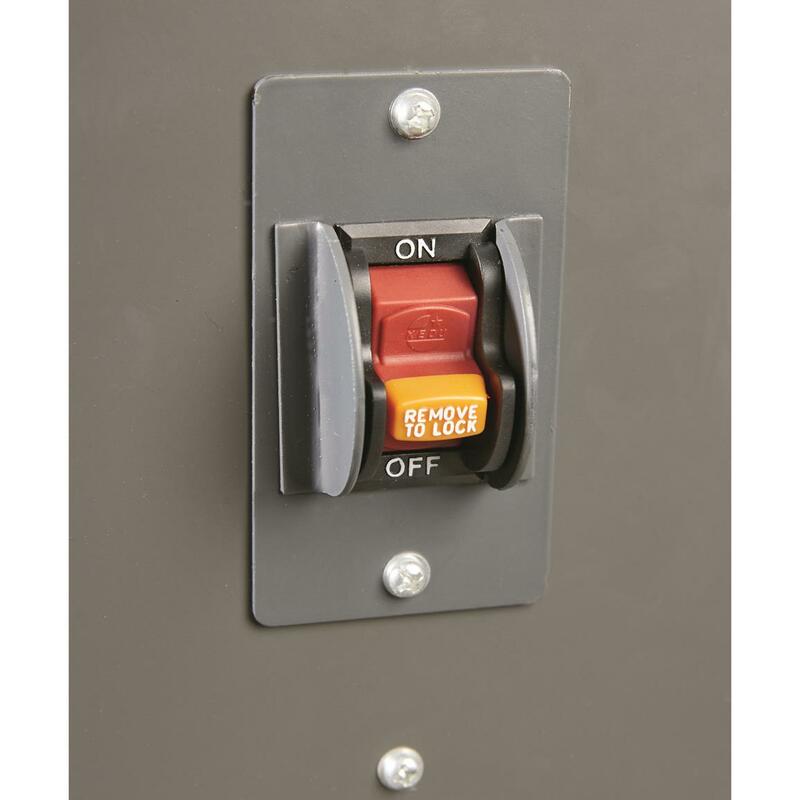 Plus, a locking on/off switch locks in the "off" position, so the Saw cannot be turned on by an accidental bump of the switch. 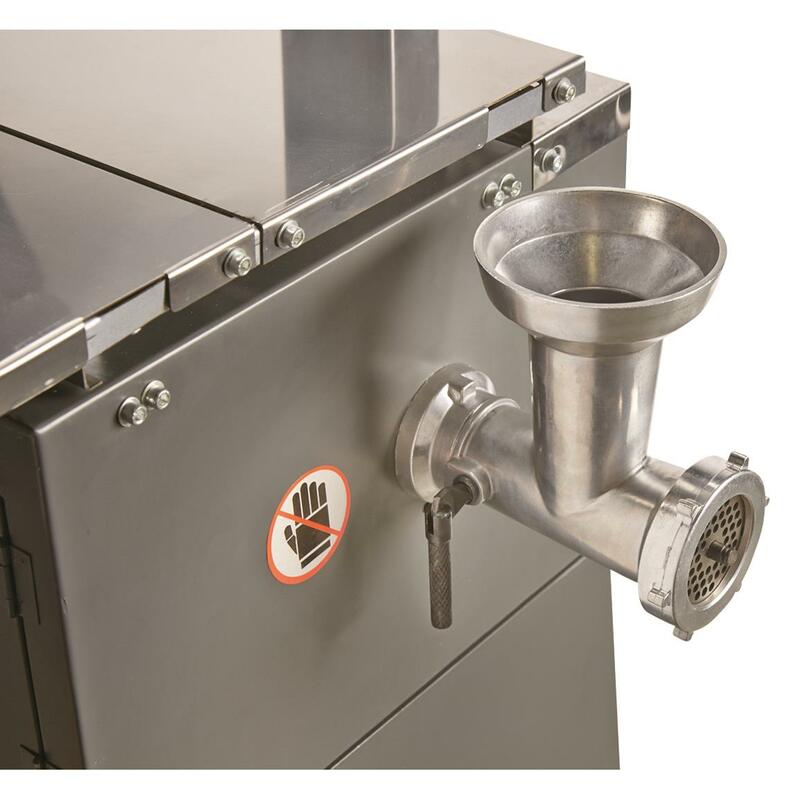 To take your meat processing to the next stage immediately after cutting, we included a #8 meat grinder attachment with 5/16" grinding plate. 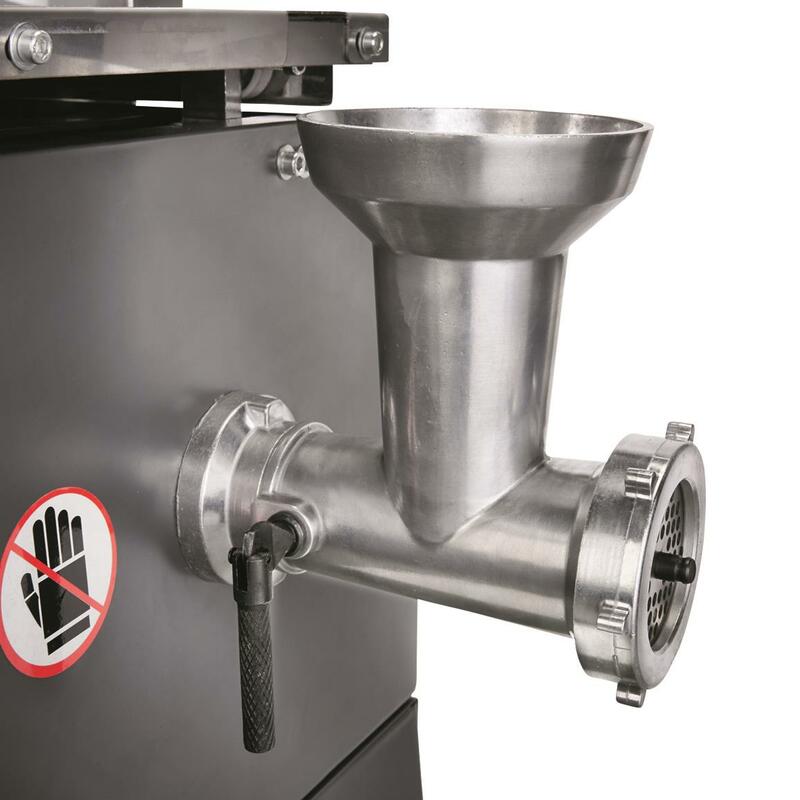 It's built to last, just like the Band Saw, and comes complete with stainless steel auger, blade and grinding plate, plastic meat pusher and sausage stuffer tube. 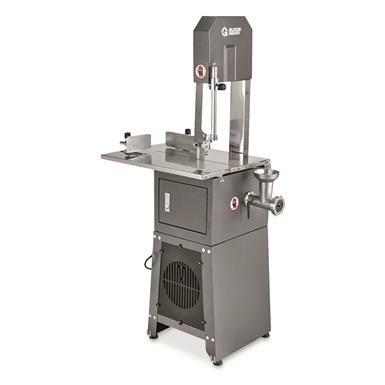 Being able to cut and grind meat in a 2-step process, at a single location brings you closer to enjoying the meats of your labor with less time, energy and clean-up. We didn't "cut" corners on the design or construction of our Band Saw. 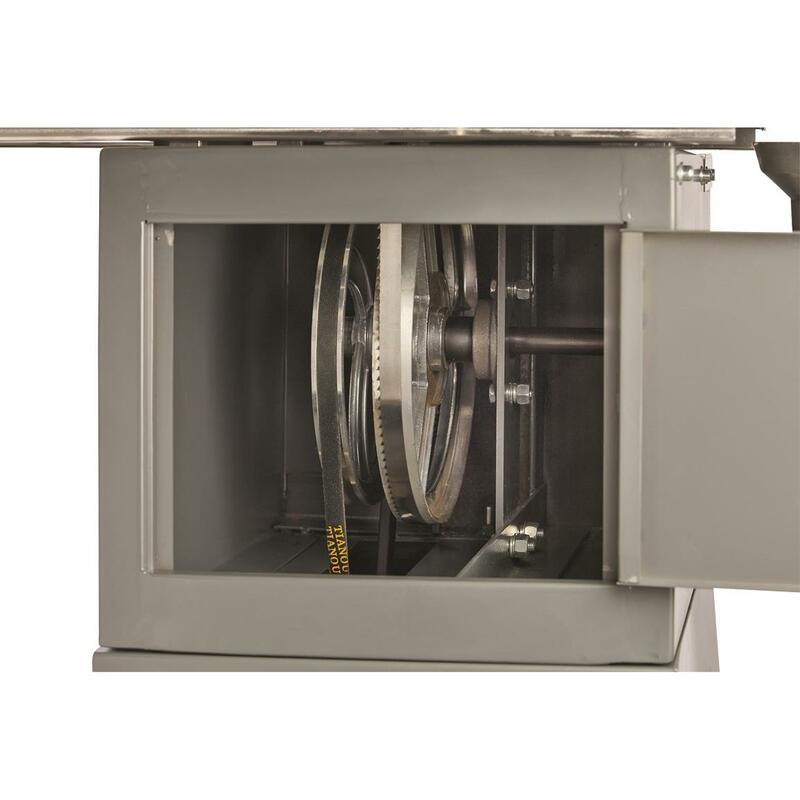 It carries the same features of saws costing much more, but at a far better price. 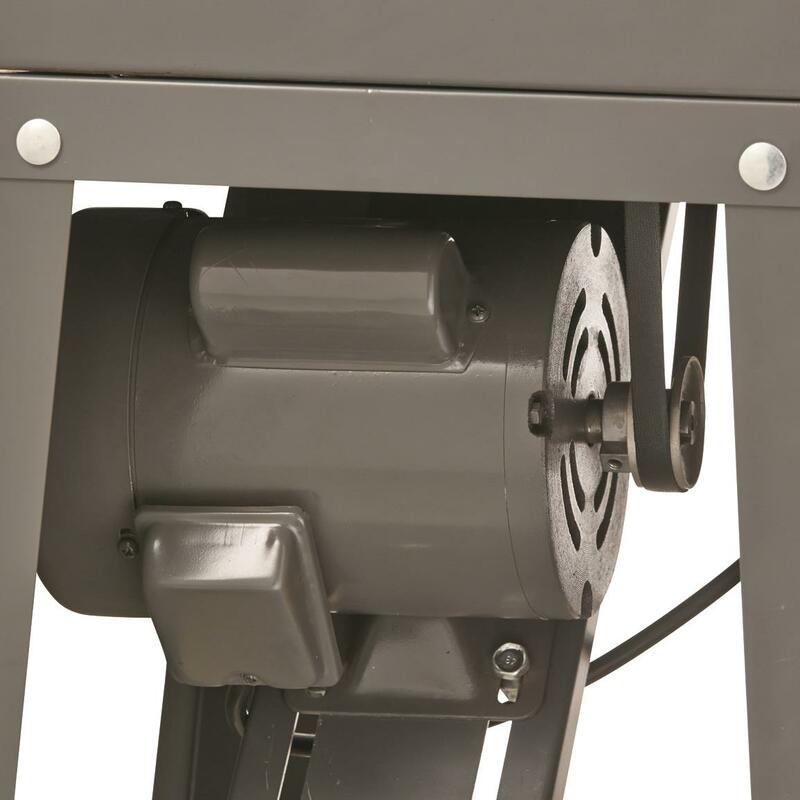 Powerful 550W, 0.75 horsepower motor keeps working through tough cuts, bone, even frozen meat. 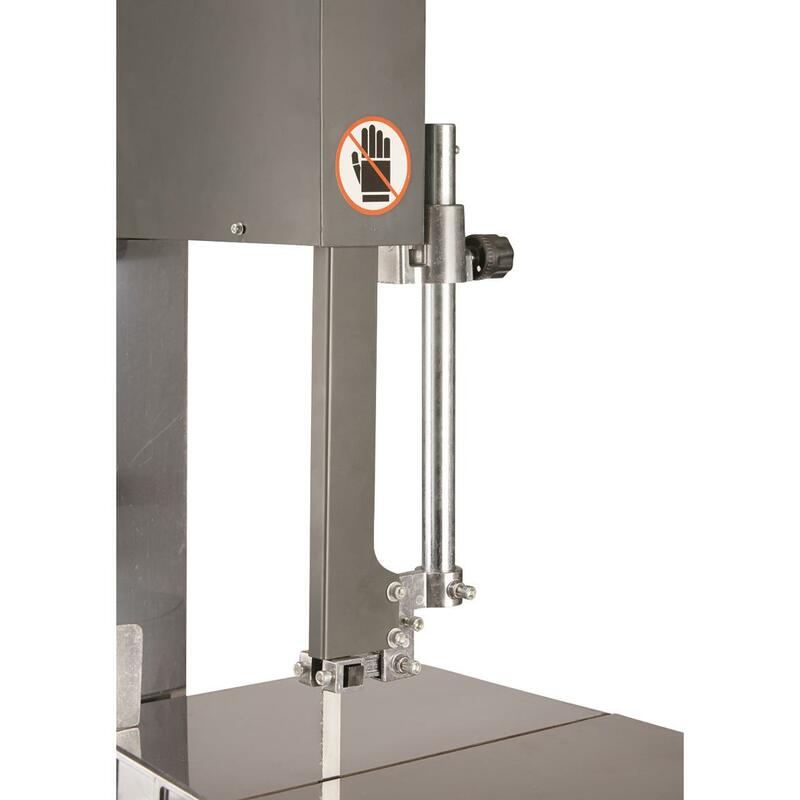 Adjustable blade height gives you the versatility of handling a variety of meats of varied thickness. The stainless steel meat cutting blade has 4 angled teeth per inch, making it super efficient and resistant to clogging from meat fibers, fat and sinew. 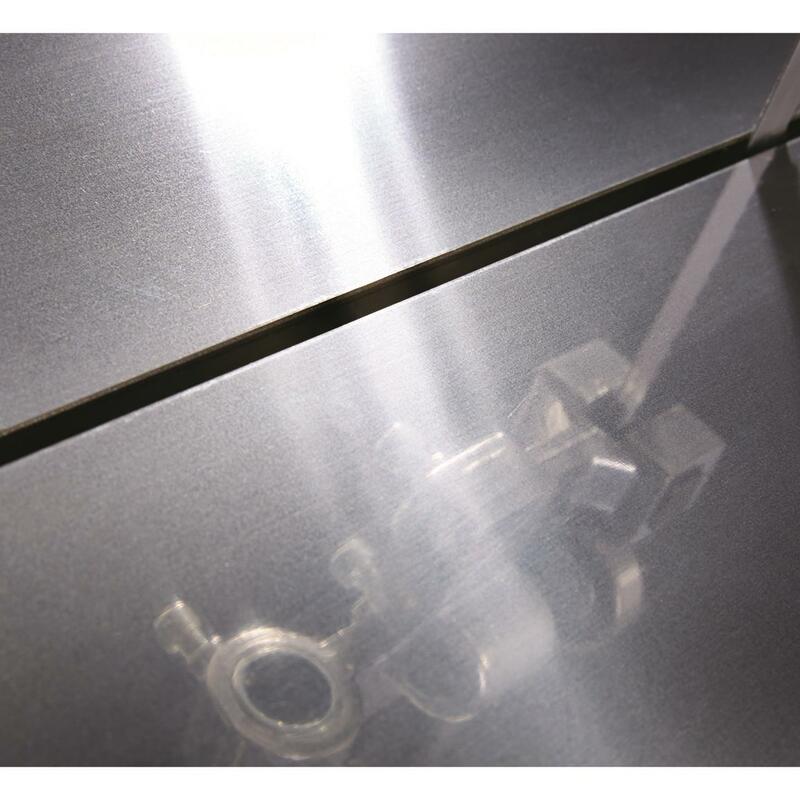 Lastly, we included a convenient front access panel for easy cleaning, maintenance and blade replacement. 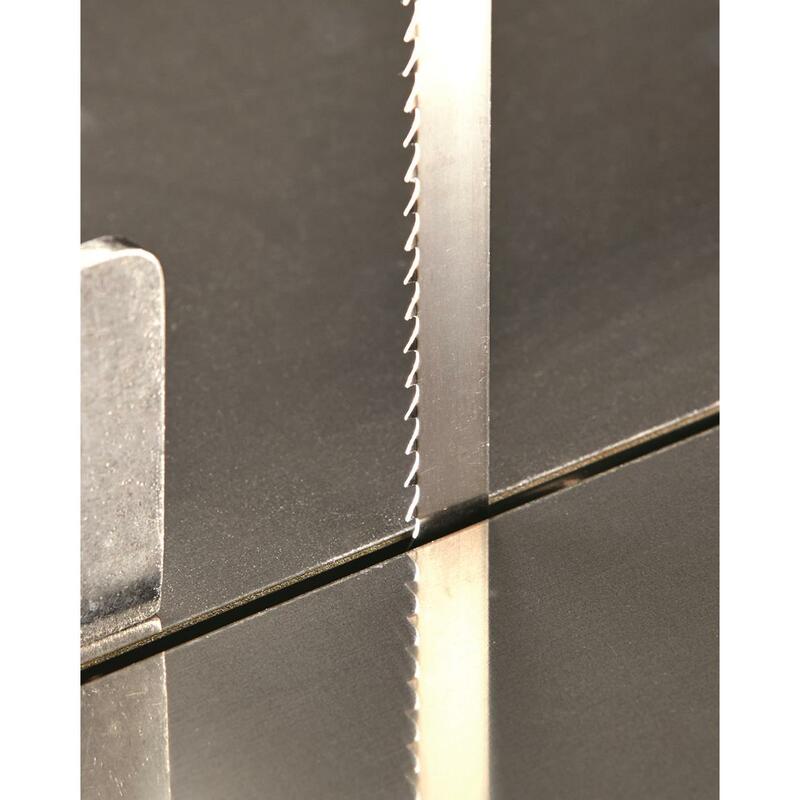 Maximum cutting width: 9 7/8"
Maximum cutting depth: 9 7/16"
Blade dimensions: 82" x 5/8"
Shipping dimensions: 38.50 x 17.25 x 19.25"
Overall dimensions: 23.5"w. x 21"d. x 58.5"h.
Guide Gear Electric Meat Cutting Band Saw and Grinder is rated 3.4 out of 5 by 15. 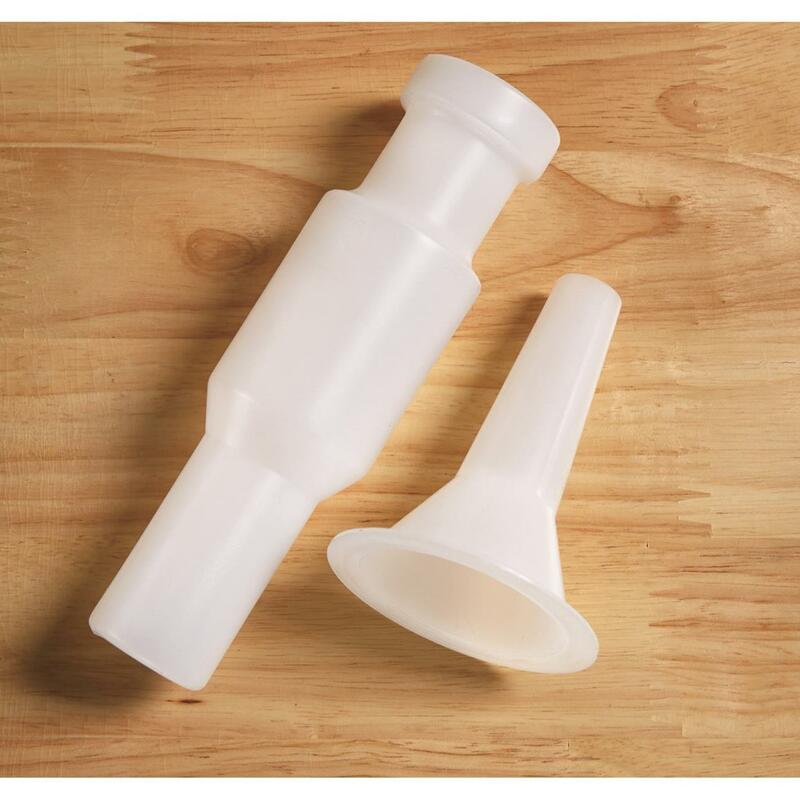 Rated 5 out of 5 by LINLEE from GREAT PRODUCT AND GREAT PRICE MY HUSBAND AND I WORK UP ALL WILD GAME DURING HUNTING SEASON AND SUPPLY BIG COOK OUTS FOR HUNT CAMP. 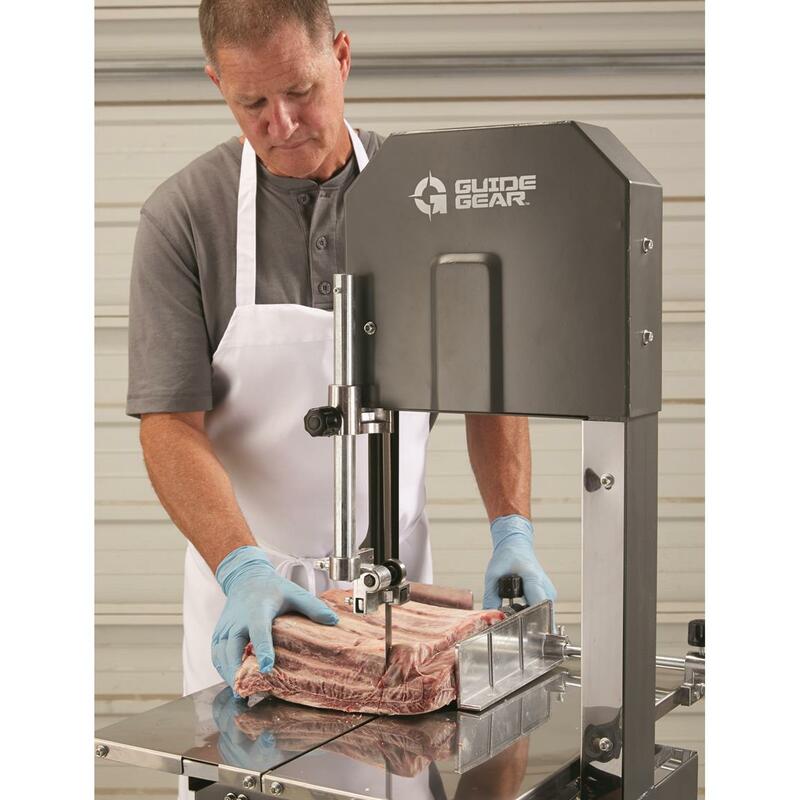 I BOUGHT THIS GUIDE GEAR MEAT SAW AND GRINDER TO MAKE OUR MEAT PROCESSING JOB EASIER. WELL, THIS IS THE MEAT PROCESSOR WE WOULD RECOMMEND TO ANYONE. IT IS A GREAT MACHINE. 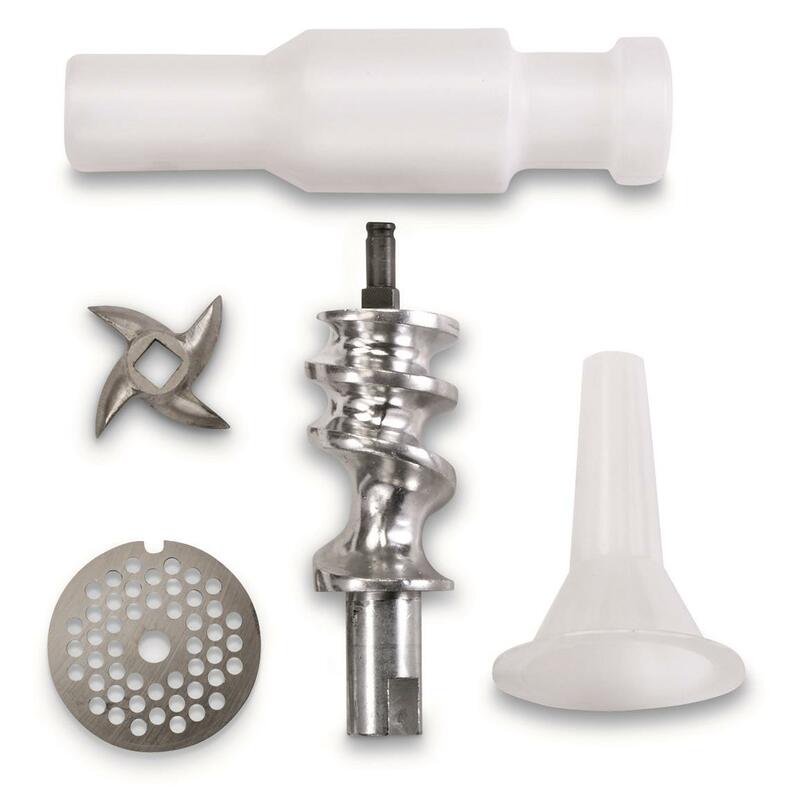 Rated 4 out of 5 by Longshooter300 from Looks Good Had One Like It For Years Better Replacement Sub assembly required, instructions leave a bit to be desired, had one previously that needed replaced the same as this one with a different brand name on it. I was familiar with the product so I didn't have too much difficulty with assembly. After years of use with the other saw the switch had gone bad as well as a few other little things I have worked around but the blade was shot and time to get a replacement. This one has been upgraded in a few spots. I have not used it yet. I did assemble it and ran the motor to make sure all is well and it is. Was hoping to use it but did not get another deer since I got it. Rated 5 out of 5 by PatB from Great price, great quality Was easy to assemble, looks great impressed with the quality of the metal. Runs smooth, haven't cut any meat as of this date, but plan on it soon. Rated 4 out of 5 by JB III from Be patient The saw and grinder both perform well. The assembly is a little challenging. The assembly instructions amount to a poorly copied exploded view. If you are not mechanically inclined and/or impatient, call a friend to assemble this for you. Once assembled (correctly) it makes processing venison more fun than work. Rated 5 out of 5 by Eddie from MEAT SAW I actually received the saw a day earlier than scheduled. We have put it together but unfortunately we have not used it yet.